The CLW milk tank trucks are with three layers. The inner tank is manufactured by 4mm-5mm thickness 304/2B food grade stainless steel. The middle layer with 80mm-100mm thickness PU foam insulation layer and 60mm thickness PU foam for the manhole part, so the temperature will be changed 1 degree within 24 hours. The exterior of the tank is with 1.2mm thickness 304 stainless steel mirror panel. 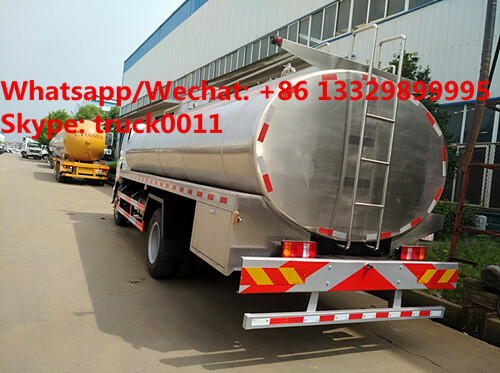 If you're interested in our CLW brand stainless steel milk tank trucks, please send email to szhj9999@163.com or talk to Anita by Mob. :+86 13886878855. 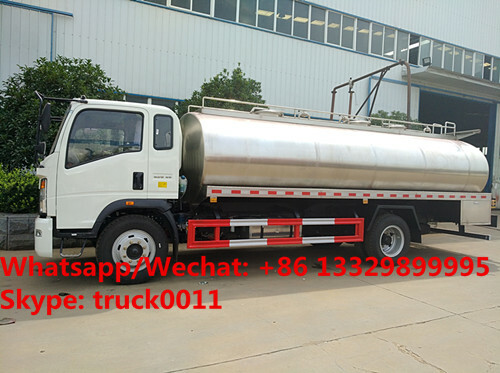 More pictures of SINO TRUK HOWO 4*2 RHD 10,000Liters stainless steel milk tank truck manufactured by Chengli Special Automobile Co., Ltd. as below. 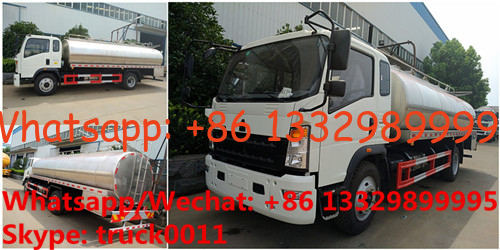 main technical parameters of SINO TRUK HOWO milk tank truck as below. Remarks Tank volume: 10000L with 2-3compartments; Adopting high quality food grade stainless steel material. The outer layer is with insulation layer to avoid the fresh milk going bad. The inner tanker is polished by the special equipment, and making sure no milk hanging. The inner tanker is smooth, non sharp angle, etc. There is CIP (cleaning device) installed. There are three layers of the milk tank, the inner tanker is manufactured by 4mm thick 304/2B food grade stainless steel; the middle is 80mm PU foam insulation layer, and 80mm PU foam of the manhole part, the temperature will be changed less than 1 degree within 24 hours; the exterior of the tank is 1mm thick 201 stainless steel mirror panel. There is cleaning equipment inside the tank, cleaning rod (cleaning ball), cleaning pipe (with the diameter of 38mm), turntable cleaning sprayer to automatically cleaning when with water source. More information, please kindly contact with Ms. Anita.